1.What is the Attraction Pass™? Attraction Pass™ gives you access to the best New York tours and attractions during a set period of time. No matter which option you purchase, you will be able to use any or all of the tours and attractions we offer and customize your itinerary. 2.How long do I have to redeem my Attraction Pass™ after purchase? You have up to 1 year to redeem your Attraction Pass™. 3.Can I visit the same attraction more than once? Unfortunately, no, because all attractions in the pass are one-time use only. 4.Do I have to make reservations for the tours and attractions? Reservations are not needed for most of the tours and attractions we offer - simply go there and enjoy! If you download our mobile app, you will be able to reserve a spot for Statue of Liberty Cruise directly on the app. If you would like to use the Central Park Bike Tour, please email customerservice@theattractionpass.com to schedule the tour. 5.How do I use my Attraction Pass™ at attractions? Download our mobile app and add your tickets by scanning the QR code or manually inputting the authorization code from your email confirmation. When you arrive at the attractions, simply pull up your pass on the mobile app and start the fun! 6.How do I contact you? You can contact us via email (customerservice@theattractionpass.com) and phone (347-705-8700). 7.What is your refund policy? All sales are final. We are not able to issue any refunds. 8.When does the validity period begin? The validity period begins when you activate the pass by adding the digital tickets to our mobile app or printing out paper tickets at our visitor center. 9.Do I have to visit the attractions in a particular order? No. Feel free to visit the attractions in any order and customize your trip. 10.Do I have to pay anything for admission when using Attraction Pass™? No, with Attraction Pass™ you will get general admission to the attractions and tours offered. 11.Can I make changes on my order? 12.Can I share my Attraction Pass™ with a friend? We strongly recommend one pass per person, because all attractions in the pass are one-time use only. 13.I have a promo code for Attraction Pass™, how can I use it? 14.How do I activate my Attraction Pass™? After you purchase the Attraction Pass™ online, you can download our mobile app and add the tickets to the app following the instruction from your email confirmation. Once tickets are added, your Attraction Pass™ is activated and you can start enjoying the pass! 15.Is transportation included with Attraction Pass™? Hop-on hop-off bus tours are included with Attraction Pass™, with which you can easily navigate the city. 16.What is the child age range for Attraction Pass™? The child age range is 4 - 12 years old. Tickets are free for kids under 4. 1.Can wholesalers and tour operators sell Attraction Pass™ products? Yes, please email partnership@theattractionpass.com for information. 2.Can I sell Attraction Pass™ products on my website? 3.Do you offer group discounts? Yes, we offer discounts for groups of 15+ people. Please email groups@theattractionpass.com for information. 1.Which payment types do you accept on TheAttractionPass.com? 2.Why should I buy online? When purchasing online, you can enjoy exclusive discounts, get the best deal, and receive your digital pass within minutes after purchase. Also it's never too early to plan your NYC trip! 3.How far in advance can I buy the Attraction Pass™? You will have up to 1 year to redeem the Attraction Pass™. If you ever want to purchase the Attraction Pass™ more than 1 year in advance, feel free to email customerservice@theattractionpass.com to extend the validity. 1.I have an email voucher, where can I pick up my Attraction Pass™? With Attraction Pass™, you do not need to pick up a physical pass. Simply download our mobile app, add your Attraction Pass™ to the app, show your Attraction Pass™ on your mobile device at attractions and you are all good to go! 2.Do I have to pick up my Attraction Pass™ same day I purchase them online? Attraction Pass™ is a digital pass, therefore you do not need to pick up any physical ticket before you go to the attractions. After your purchase, you will have 1 year to redeem the Attraction Pass™ and start using it. To start using your Attraction Pass™, simply download our mobile app and add your tickets to the app. Enjoy! 1.What is the Hop-on Hop-off Bus Tour and how does it work? Hop-On Hop-Off Bus Tours mean you can hop on and hop off at any stop along the route. 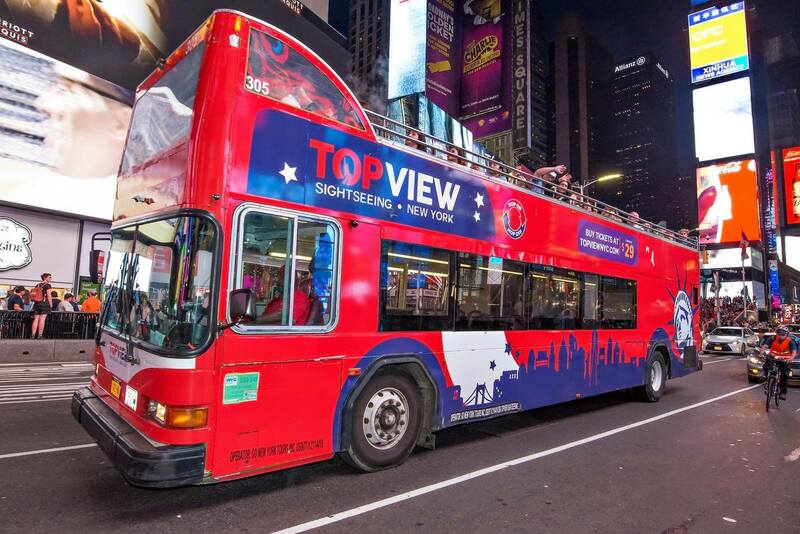 The tours are on double decker buses where you can enjoy views above the crowd. GPS-guided audio narrations are available in 11 languages, so you can learn as you go. 2.Can I use my Attraction Pass™ as a ticket to get on a TopView double decker bus? Before you start using your Attraction Pass™, you need to download our mobile app and add your tickets to the app. Once the tickets are added, you can board a double decker bus by scanning the QR code from your app. 3.What is the frequency of those Bus Tours? Hop-On Hop-Off buses arrive every 15-20 min depending on traffic. Non-stop Bus Tours operate on a set schedule. Please visit https://theattractionpass.com/attractions for the specific schedule.